Seventeen teams from around the globe, including seven competing at the Tour de France, have accepted invitations to the UCI 2.1 Larry H. Miller Tour of Utah, held August 7-12. 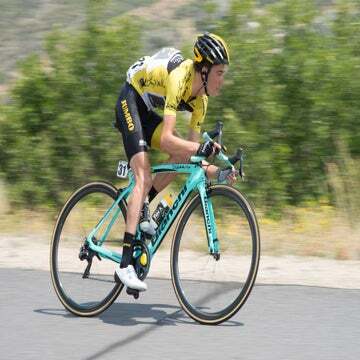 Among those teams is the Omega Pharma-Quick Step squad of two-time Tour of Utah champion Levi Leipheimer. Other UCI ProTeams racing in Utah include BMC Racing, Garmin-Sharp, Liquigas-Cannondale, RadioShack-Nissan and Rabobank. A total of five UCI Professional Continental teams have accepted invitations to race in Utah: Champion System, of China; Argos-Shimano, of The Netherlands; SpiderTech-C10, of Canada; NetApp, of Germany; and American team UnitedHealthcare. Six UCI Continental squads round out the field of 17 teams. The final field represents teams registered from nine countries, including two teams from The Netherlands and one team from China, all three first-time entries. Other countries include Belgium, Canada, Colombia, Germany, Italy, Luxembourg, and the United States. Partnering with six different host venues across northern Utah, “America’s Toughest Stage Race” will be the first UCI 2.1-rated stage race for ProTeams in the U.S. following the Tour de France and the London Olympic Games. The overall start is in Ogden and the race will finish in Park City. The Tour of Utah also boasts the only professional Team Time Trial (TTT) in the U.S. this year. The athletes will compete for six days across the mountains, valleys and plateaus of Utah, vying for UCI points, award jerseys and a prize purse that totals $127,000. Teams are expected to announce their final rosters for the Tour of Utah at the end of July.